Thomas Valone,founding member of There was an error working with the wiki: Code and a Masters in Physics from the State University of NY at Buffalo. Tom Valone is President of IRI. Official Website for Integrity Research Institute - "A non-profit corporation dedicated to helping establish integrity in scientific research, primarily regarding the physics of energy, whether it is in the technical, human health, or environmental area." Third International Conference on Future Energy - Oct. 9-10, 2009 Washington, D.C. Hosted by Integrity Research Institute. President of Integrity Research Institute. Editor of Future Energy newsletter and Enews. 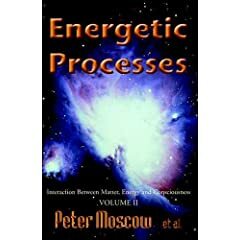 Author of 6 books and numerous scientific studies, articles and papers related to energy in all forms. As a Professor at a SUNY-accredited, Erie Community College in Buffalo NY, he taught courses from 1976 to 1981 that included Engineering Physics, Technical Physics, Introductory Physics, AC Electricity, Electronics, Digital Logic, Microprocessors (6502), Environmental Science, as well as laboratory sessions for above courses. Responsible for Engineering Department projects, at Integrity Electronics, he managed engineers and technicians, initiated several instrument lines, trained industrial interns from SUNY at Buffalo, designed 2% accuracy calibration procedures, specification sheets and training manual, represented the company at shows and conferences. Designed an Instrumentation & Process Control Curriculum at the direction of the College President. Participated in Project Outreach by teaching SUNY-contract microprocessor courses (6800) at Chevrolet Plant, Tonawanda, NY. Provides consultations on electrical product design and development engineering testing environmental and electromagnetic fields and energy expert testimony and opinion. Meets regularly with congressional and senate leaders and briefs them on the latest energy developments. His views regarding energy-related matters have been featured on national media including CNN. Was a Patent Examiner for the Physics, Measuring, Testing, Instrumentation Class 324, Art Unit 2858, GS-12, at the U.S. Patent and Trademark Office (www.uspto.gov) from 1996 - 99. He examined and approved patents related to Electric and nonelectric properties, testing in specific environments, calibrating electric meters, sensing electricity, internal combustion engine ignition system, electromechanical switching devices, thermoelectric properties, electrostatic field sensing, fault detection, impedance/admittance testing, power measurement, motors/generators. Elected as Board member of the PTO Society in 1999. Licensed Professional Engineer with the state of New York. While at Scott Aviation, he was Director of R&D and developed gas detection linearization circuit for Series 9000 instruments, directed planning/installation of computerized test facility for catalytic sensors, performed feasibility study of non-pressurized zeolite oxygen tank for firemen, published design articles, managed acquisition and installation of computer network, numerous sensor circuit design and testing projects. Received several Certificates of Appreciation from the SUNYAB Faculty of Engineering and Applied Sciences for participation in the Industrial Internship Program. http://isdc2005.xisp.net/~kmiller/isdc_archive/isdc.php?link=personSelect&email=iri@erols.com - Tom Valone presented an illustrated lecture on Emerging Energy & Propulsion Technology for Space at the International Space Development Conference, June, 2005 sponsored by NASA and the National Space Society. PowerPoint slide show online.